A new upcoming addition to the LG’s L Series of smartphones dubbed L80 has just leaked in photos and we have also come to know its specifications. LG unveiled the L series III devices at MWC, the LG L40, LG L70 and LG L90 and today, the LG L80 has leaked. The leaked photos of the LG L80 show us the dual SIM variant of the device, with four capacitive buttons below the display for menu, multitasking, home and back. If the other L series devices are any indication, the single SIM L80 should come with a hardware home button. The leak also gives out the specs of the device. 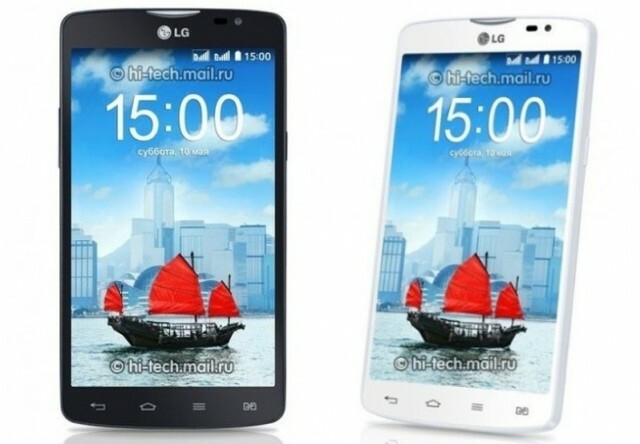 According to the leak, the LG L80 will come with a 5-inch display of WVGA resolution (800x480p). The device will be powered by a 1.2 GHz dual-core processor coupled with 1 GB RAM. It will come with 4 GB internal storage along with microSD expansion. Android 4.4 KitKat will be on-board along with LG’s customizations such as the Knock Code. The leak suggests a 2,540 mAh battery in tow. As of now, we don’t have any details on the cameras in the L80. The LG L80 will be available in the usual Black and White variants. We don’t have any information as to when the device will be unveiled or the price of the device will be but we guess, the official announcement should happen soon.